The most remarkable feature, I think, is that it has an address and data bus (22 lines total) for the game program – and then a whole other address and data bus for fetching tile data. The point of that is clear: it provides double the bandwidth, lets the console fetch code and tiles simultaneously, allows higher quality graphics without having to provide extra RAM for caching tiles. But if there was a problem with affording an extra sixteen lines in a $2000 PC in 1988, how on earth could Nintendo possibly afford to put an extra twenty-two lines, not only in a $200 console in 1983, but in every single cartridge? Okay the PC motherboard is a larger and more complex piece of kit, but that's going on two orders of magnitude difference in equipment cost, and five years difference in release date to boot. How does that possibly make sense? Was Intel just engaging in market segmentation, or is there some technical consideration I am missing? The situation with the 386(DX) v. 386SX is similar to the situation with the 8086 v. 8088. The big issue isn’t the data lines (although they do have an impact on complexity and cost when routing a whole motherboard), the issue is mostly the cost of support components: motherboard chipsets (whether integrated or discrete), memory, etc. 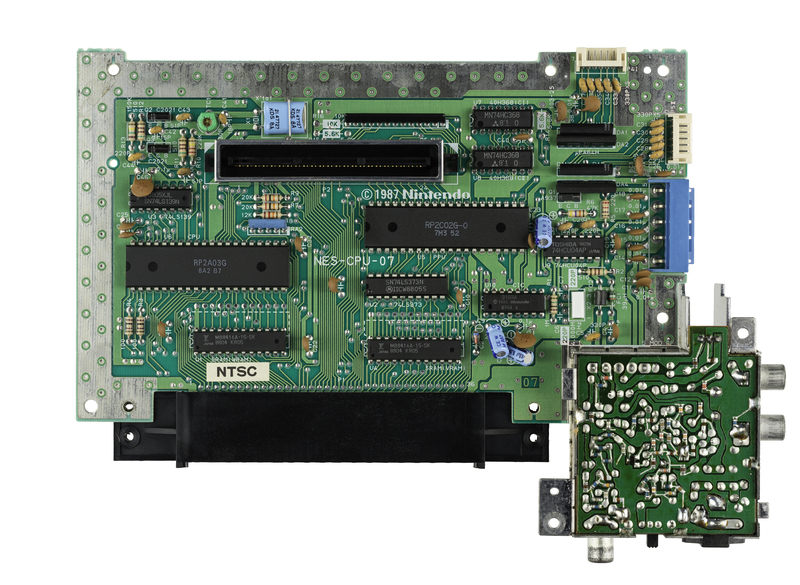 By going back to a 16-bit bus, the 386SX allowed motherboard designers to use techniques and components they knew well from 286 designs. The 386SX was released years after its full 32-bit older sibling, but in those years the 386 didn’t sell all that much — 386 systems were significantly more expensive than 286 systems, not significantly faster than the higher-end 286 systems for most DOS applications, and thus there was no major incentive for most PC users to buy a 386 rather than a 286, and no major incentive for PC manufacturers to produce cheap 386 systems. (Although the 386 was released in 1985, and the SX in 1988, 386-based systems only really became popular in the early 1990s, not coincidentally following the release of Windows 3 in 1990.) The 386SX allowed PC builders to produce 32-bit systems for a cost similar to 286 systems, since most if not all of the supporting paraphernalia was the same (of course they wouldn’t sell them for a price similar to 286 systems). There’s also some amount of market positioning going on: the 386(DX) was supposed to be a high-end CPU, and was typically used in high-end systems with expensive components (cache, EISA buses, many memory slots etc. ), whereas the 386SX was marketed as a low-cost CPU and therefore it was acceptable to sell it in lower-end systems. The Red Hill main board index shows a number of examples of 286, 386(DX) and 386SX motherboards, which gives an idea of the complexity or simplicity of the various designs. So that indicates extra data lines were very expensive; the difference between a 386SX and 386DX computer came to hundreds of dollars. Not really. Sure, they need to have some room and routing - and thus more thru hole connections, but over all, doing a 32 data lines instead of 16 isn't a big deal. It wasn't the data lines themselves, but rather the components to be connected to these data lines that made the difference. Most notably here would be RAM. With a 16 bit data bus, only two 30 pin SIMM (*1) were needed for a minimal memory setup. A system builder could get away with selling a basic 386SX system with as low as 512 KiB (two 256 KiB modules). Even more, board manufacturers could do cost-sensitive boards with just two SIMM sockets, lowering the price even more (*2,3 ). Equally important for board/system designer, they could use chipsets that differed only minimally from 286 chipsets. Thus chipset manufacturers could design and offer them rather quickly and at low cost. Last but quite important, Intel could offer the 386SX at a way lower price than the 386DX without cutting into the sales for their top end offerings. The 386SX was considerably slower and a strict 286 replacement/upgrade. 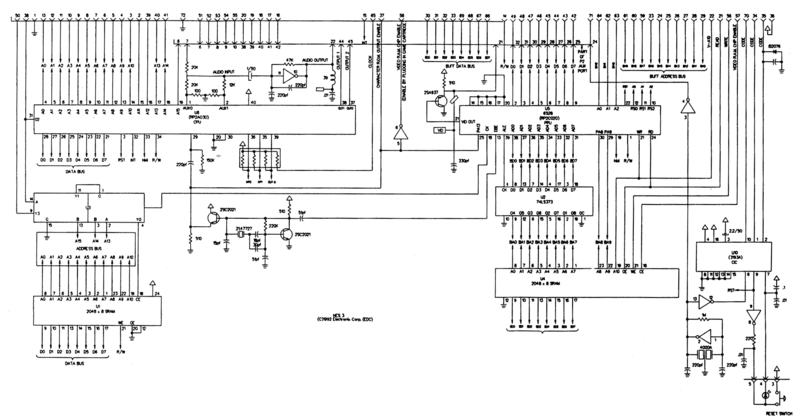 [...] pinout of the NES cartridges: [...] has an address and data bus (22 lines total) for the game program – and then a whole other address and data bus for fetching tile data. Yup, makes sense for a game system with a separate graphics system to extend its databus onto the cartridge. This allowed placing (ROM) data right onto the graphics bus, thus saving the need for installing more video RAM, which would have otherwise been needed to hold that data (after being copied into from the game ROM). But if there was a problem with affording an extra sixteen lines in a $2000 PC in 1988, how on earth could Nintendo possibly afford to put an extra twenty-two lines, not only in a $200 console in 1983, but in every single cartridge? As said (point#1), the additional cost for the lines itself do exist, but are minor. It's again about component installment. Or more exact with the NES, it's about not installing components. Without the second bus, the video part would have needed additional RAM to hold tile (and other) data. With the bus extended to the cartridge, no (large) default RAM was needed, but cartridges did bring their date and inserted it right into the video address space. This saved the installation of large(r) amounts of RAM in the base console which otherwise would have needed to be present to hold tile data, loaded from the game ROM. Obvious, the amount of data lines isn't anywhere important in the considerations done. *1 - When the 80386 was introduced in 1988, 30 pin 8 bit wide SIMM were standard and it wasn't until the mid 1990s when 72 pin 32 Bit SIMM took over. *2 - Such a board could offer 512 KiB, 2 MiB or 8 MiB total RAM, the latter being rather extreme for low price systems in the late 80s - whoever could afford 8 MiB, could just as well buy a 386 DX system right away. *3 - Not as cheap as one may think, as there were even IBM PS/2 machines with just two SIMM sockets. It's not just how many data lines, but where you have to route them. While the PPU on the NES does have its own independent RAM, it is connected only to the PPU. To update the tile RAM from the main CPU, all accesses must go through the PPU. This limits the extra 8 data lines and 11 address lines (for a 2 KB address space) to a small area of the board, as the PPU and its RAM are right next to each other. You can clearly see the two RAM chips marked SRAM at the bottom. One connected to the CPU data pins directly, and one through an LS373 buffer to the PPU's data pins. A full 32-bit 386 processor mainboard needs to route all the data lines over a much larger area: to the chipset, to the IO expansion slots, to all the RAM chips or SIMM slots, and to the ROM chips. All over the board, basically. Having some experience with PCB design, I can say that routing that many signals all over a board is much more difficult than in just a small region. Additionally, the NES ran at 1.8 MHz, while Intel 386 processors were introduced at 12 MHz, soon increasing to 33 MHz. At higher speeds, the routing of a board becomes more critical as trace length, inductive coupling and other factors which can be largely ignored at 1 MHz become increasingly dominant design concerns, again making board design harder. Not the answer you're looking for? Browse other questions tagged hardware nes cost 386 or ask your own question.